We are located in the Vogue Center, St. Matthews. We provide safe, natural options for pain, sleep problems, weight loss, digestive problems and hormone balancing. We offer eco friendly pillows and mattresses as well as vitamins and supplements. Dr Troy Willis prides himself on being a resource for people of all ages seeking a healthy lifestyle. Lynn Greenwell, D.C., is a chiropractor located in Louisville, KY. Take the next step and contact Dr. Lynn Greenwell, D.C., for a consultation in Louisville, KY or to get more information. D S Brink, D.C., is a chiropractor located in Louisville, KY. Techniques: • Palmer Package Take the next step and contact Dr. D S Brink, D.C., for a consultation in Louisville, KY or to get more information. Edwin L Westphal, D.C., is a chiropractor located in Louisville, KY. Take the next step and contact Dr. Edwin L Westphal, D.C., for a consultation in Louisville, KY or to get more information. Patrick Campbell, D.C., is a chiropractor located in Louisville, KY. Take the next step and contact Dr. Patrick Campbell, D.C., for a consultation in Louisville, KY or to get more information. Paul Austin, D.C., is a chiropractor located in Louisville, CO. Techniques: • Chiropractic Biophysics • Neural Organization Technique • Bio-Energetic Synchronization Technique Take the next step and contact Dr. Paul Austin, D.C., for a consultation in Louisville, CO or to get more information. Greg Thomas, D.C., is a chiropractor located in Louisville, KY. Techniques: • Diversified • Thompson • Cervical Drop Headpiece • Activator Methods • Toggle Recoil • Active Release Technique Take the next step and contact Dr. Greg Thomas, D.C., for a consultation in Louisville, KY or to get more information. C W Dinwiddie, D.C., is a chiropractor located in Louisville, KY. Techniques: • Diversified • Activator Methods • Applied Kinesiology Take the next step and contact Dr. C W Dinwiddie, D.C., for a consultation in Louisville, KY or to get more information. M Ghayoumi, D.C., is a chiropractor located in Louisville, KY. Take the next step and contact Dr. M Ghayoumi, D.C., for a consultation in Louisville, KY or to get more information. Andrew Bourne, D.C., is a chiropractor located in Louisville, KY. Take the next step and contact Dr. Andrew Bourne, D.C., for a consultation in Louisville, KY or to get more information. Matt Ehrhard, D.C., is a chiropractor located in Louisville, KY. Techniques: • Chiropractic Biophysics Take the next step and contact Dr. Matt Ehrhard, D.C., for a consultation in Louisville, KY or to get more information. Rodney Wisdom, D.C., is a chiropractor located in Louisville, KY. Take the next step and contact Dr. Rodney Wisdom, D.C., for a consultation in Louisville, KY or to get more information. Rodney Hollars, D.C., is a chiropractor located in Louisville, KY. Take the next step and contact Dr. Rodney Hollars, D.C., for a consultation in Louisville, KY or to get more information. James C Distler, D.C., is a chiropractor located in Louisville, KY. Techniques: • Palmer Package • Upper Cervical • Activator Methods Take the next step and contact Dr. James C Distler, D.C., for a consultation in Louisville, KY or to get more information. Ralph Stengel, D.C., is a chiropractor located in Louisville, KY. Techniques: • Palmer Package • Gonstead Take the next step and contact Dr. Ralph Stengel, D.C., for a consultation in Louisville, KY or to get more information. Mark Stevcos, D.C., is a chiropractor located in Louisville, CO. Take the next step and contact Dr. Mark Stevcos, D.C., for a consultation in Louisville, CO or to get more information. Thomas A Woods Jr, D.C.
Thomas A Woods Jr, D.C., is a chiropractor located in Louisville, KY. Techniques: • Diversified • Cox • Thompson • Nimmo • Sacro Occipital Technique Take the next step and contact Dr. Thomas A Woods Jr, D.C., for a consultation in Louisville, KY or to get more information. Ronald A Day, D.C., is a chiropractor located in Louisville, KY. Techniques: • Palmer Package Take the next step and contact Dr. Ronald A Day, D.C., for a consultation in Louisville, KY or to get more information. Louis B Morris, D.C., is a chiropractor located in Louisville, KY. Techniques: • Gonstead • Thompson • Logan Basic Take the next step and contact Dr. Louis B Morris, D.C., for a consultation in Louisville, KY or to get more information. Paul J Constante, D.C., is a chiropractor located in Louisville, KY. Techniques: • Activator Methods • Applied Kinesiology • Diversified • Gonstead • Palmer Package • Pettibon Take the next step and contact Dr. Paul J Constante, D.C., for a consultation in Louisville, KY or to get more information. Paul R Hollern, D.C., is a chiropractor located in Louisville, KY. Take the next step and contact Dr. Paul R Hollern, D.C., for a consultation in Louisville, KY or to get more information. 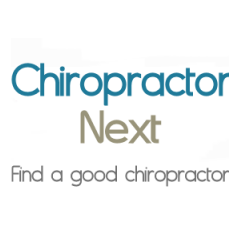 Greg Wearsch, D.C., is a chiropractor located in Louisville, KY. Take the next step and contact Dr. Greg Wearsch, D.C., for a consultation in Louisville, KY or to get more information. Patrick Riggs, D.C., is a chiropractor located in Louisville, KY. Techniques: • Gonstead • Diversified Take the next step and contact Dr. Patrick Riggs, D.C., for a consultation in Louisville, KY or to get more information. Daniel P Pringle, D.C., is a chiropractor located in Louisville, KY. Take the next step and contact Dr. Daniel P Pringle, D.C., for a consultation in Louisville, KY or to get more information. Kevin T Pavelonis, D.C., is a chiropractor located in Louisville, KY. Take the next step and contact Dr. Kevin T Pavelonis, D.C., for a consultation in Louisville, KY or to get more information. Arthur F Aston III, D.C.
Arthur F Aston III, D.C., is a chiropractor located in Louisville, KY. Techniques: • Sacro Occipital Technique • Activator Methods • Meric Take the next step and contact Dr. Arthur F Aston III, D.C., for a consultation in Louisville, KY or to get more information. Dana C O'Neil, D.C., is a chiropractor located in Louisville, KY. Techniques: • Diversified • Sacro Occipital Technique • Activator Methods Take the next step and contact Dr. Dana C O'Neil, D.C., for a consultation in Louisville, KY or to get more information. Eric C Epstein, D.C., is a chiropractor located in Louisville, KY. Take the next step and contact Dr. Eric C Epstein, D.C., for a consultation in Louisville, KY or to get more information. Vesta E Guest, D.C., is a chiropractor located in Louisville, KY. Techniques: • Palmer Package • Cox • Flexion-Distraction • Sacro Occipital Technique Take the next step and contact Dr. Vesta E Guest, D.C., for a consultation in Louisville, KY or to get more information. M P Berry, D.C., is a chiropractor located in Louisville, KY. Techniques: • Diversified Take the next step and contact Dr. M P Berry, D.C., for a consultation in Louisville, KY or to get more information. Robert Emig, D.C., is a chiropractor located in Louisville, KY. Techniques: • Diversified Take the next step and contact Dr. Robert Emig, D.C., for a consultation in Louisville, KY or to get more information. David Vaughn, D.C., is a chiropractor located in Louisville, KY. Take the next step and contact Dr. David Vaughn, D.C., for a consultation in Louisville, KY or to get more information. Laurence D Preble, D.C., is a chiropractor located in Louisville, KY. Take the next step and contact Dr. Laurence D Preble, D.C., for a consultation in Louisville, KY or to get more information. Thomas W Kramer, D.C., is a chiropractor located in Louisville, KY. Take the next step and contact Dr. Thomas W Kramer, D.C., for a consultation in Louisville, KY or to get more information. Mark Schrader, D.C., is a chiropractor located in Louisville, OH. Take the next step and contact Dr. Mark Schrader, D.C., for a consultation in Louisville, OH or to get more information. Terry D Harmon, D.C., is a chiropractor located in Louisville, KY. Take the next step and contact Dr. Terry D Harmon, D.C., for a consultation in Louisville, KY or to get more information. G T Doss, D.C., is a chiropractor located in Louisville, KY. Techniques: • Palmer Package Take the next step and contact Dr. G T Doss, D.C., for a consultation in Louisville, KY or to get more information. Thomas W Raley, D.C., is a chiropractor located in Louisville, KY. Take the next step and contact Dr. Thomas W Raley, D.C., for a consultation in Louisville, KY or to get more information. S W Evans, D.C., is a chiropractor located in Louisville, KY. Take the next step and contact Dr. S W Evans, D.C., for a consultation in Louisville, KY or to get more information. Shawn Martin, D.C., is a chiropractor located in Louisville, KY. Techniques: • Diversified • Thompson • Activator Methods • Trigger Point Therapy Take the next step and contact Dr. Shawn Martin, D.C., for a consultation in Louisville, KY or to get more information. Charles M Gladstone, D.C., is a chiropractor located in Louisville, KY. Take the next step and contact Dr. Charles M Gladstone, D.C., for a consultation in Louisville, KY or to get more information. Troy Anderson, D.C., is a chiropractor located in Louisville, KY. Take the next step and contact Dr. Troy Anderson, D.C., for a consultation in Louisville, KY or to get more information. Mary L Greenwell, D.C., is a chiropractor located in Louisville, KY. Take the next step and contact Dr. Mary L Greenwell, D.C., for a consultation in Louisville, KY or to get more information. Celeste M Krawchuk, D.C., is a chiropractor located in Louisville, KY. Techniques: • Diversified • Gonstead • Cox • Flexion-Distraction Take the next step and contact Dr. Celeste M Krawchuk, D.C., for a consultation in Louisville, KY or to get more information. John M Scott, D.C., is a chiropractor located in Louisville, CO. Techniques: • Active Release Technique • Neuro Muscular Technique • CranioSacral Therapy • Activator Methods • Nutrition Take the next step and contact Dr. John M Scott, D.C., for a consultation in Louisville, CO or to get more information.